Rail Image Collections comprises the work of Michael Mercer and Roger Geach along with other collections bought or gifted to Michael. The collection primarily represents the British Rail diesel blue era but also includes pre Tops Locomotives right up to the present day. Some steam and Infrastructure views are also available. Both have been interested in railways since the late 1960s and the website gives an indication of our collection of railway images. Many have been taken by Michael Mercer and Roger Geach. Roger has been a keen photographer for over 44 years, initially concentrating for the majority of that time on photographing the railways of the West Country, and particularly Cornwall, during the 1970s. A move to the Home Counties offered a different perspective to the rural West Country; East Anglia and the London Suburbs were explored. Now living in Nottinghamshire, Roger has travelled all over the UK. In the early days other film cameras were used but the purchase of a Nikormatt in 1974, which cost a small fortune, was favorite. This camera took excellent pictures although film speeds were very slow in those days compared to the digital SLR age. 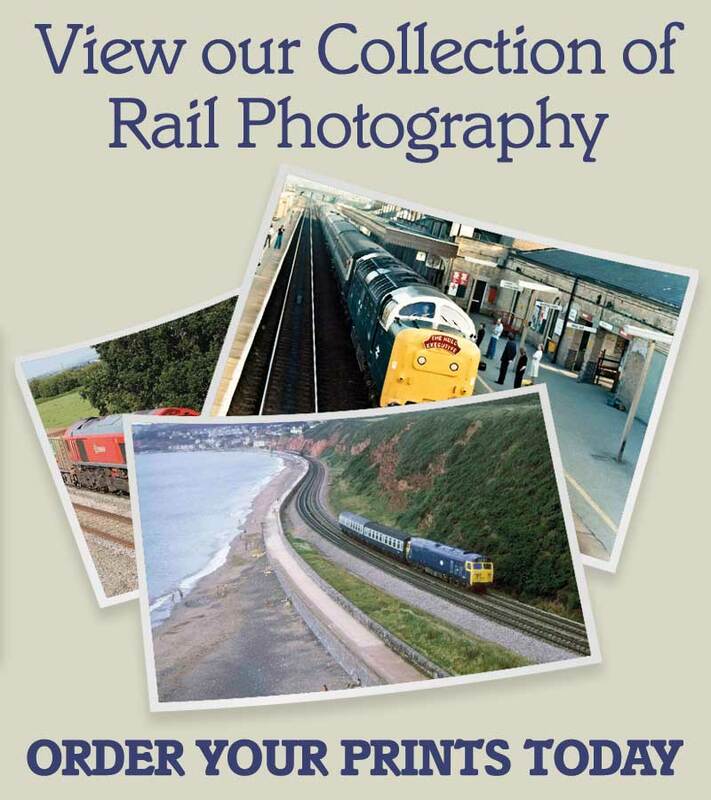 Roger’s images have been published in magazines, in particular Rail Express, Railways Illustrated and Traction, along with written articles on railway subjects. 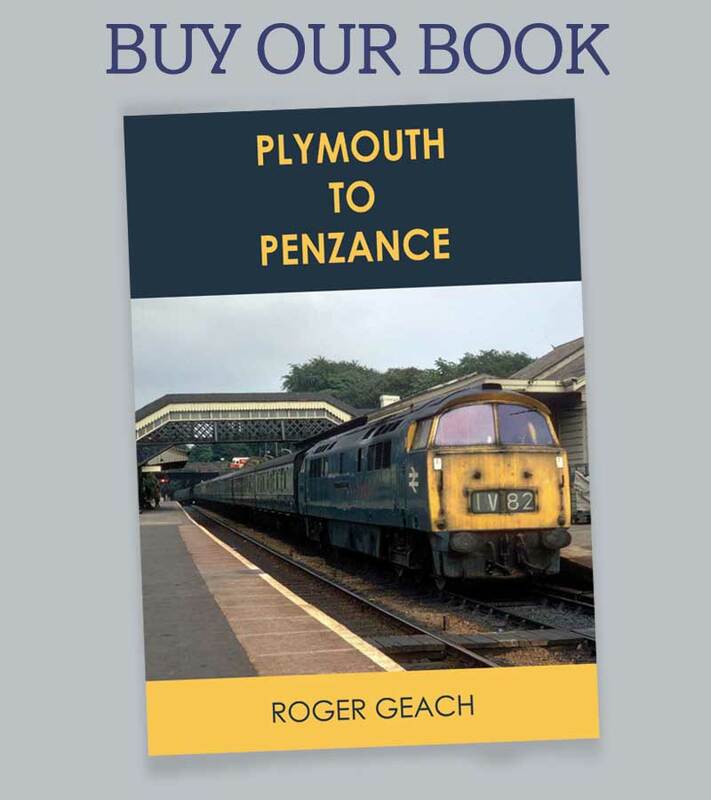 In addition Roger has written three Railway titles; the latest is his Plymouth to Penzance book - click here for more details. Michael started work in the London area and had a varied railway career for 20 years until 1997. 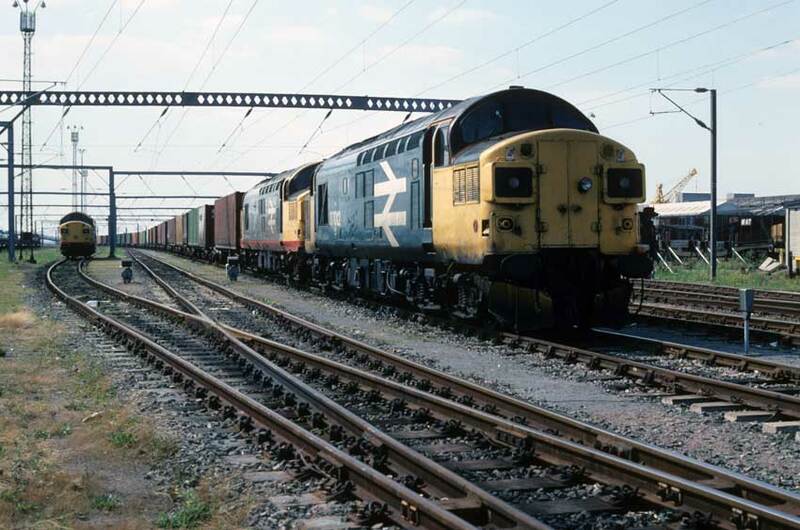 Michael’s collection of Class 37 exceeds six thousand pictures and is the most numerous in the collection. Other classes are well covered. Roger’s favourites were the Westerns and Warships, the mainstay of Cornwall in the late 1960s. 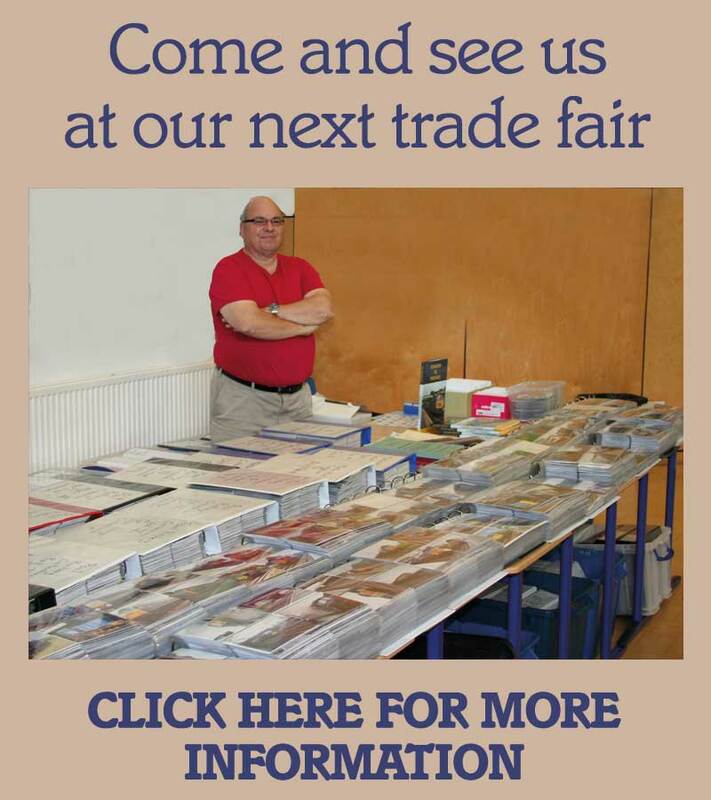 Rail Image Collections was created in 1998 by Gavin Lake and Michael, who attended a few major open days with new catalogues, however with the passage of time and the loss of many BR open days, Gavin is no longer involved. Michael has continued with Rail Image Collections but moved away from catalogues to concentrate on increasing the archive of BR diesels, electrics and steam. Class 37s , 37012 37008 at Harwich Parkeston Quay yard 18 8 1989 witha freightliner service.